New Improved version (better separation between instruments, better dynamic and articulation of the low frequencies) of our state of the art cable USB REFERENCE. The USB REFERENCE I cable has data conductors made of 7N silver solid core teflon insulated conductors with low dielectric constant insulation that allows the travel of digital data with an high propagation delay and reducted jitter. The conductors used for the power supply are shielded and spaced from the conductors used for digital data transfer in order to avoid every possible cause of disturb in the data transmission. Then has a second great coverage shielding against EMI/RFI that could disturb the digital signal transmission. The cable is assembled with particular tecniques to eliminate vibrations and mechanic troubles that usually affect usb cables0 Impedance 90 Ohm. The USB REFERENCE I cable allows a reproduction that permits to discover details, nuances, timbres and ambience that other cables don’t reproduce. It also has great dynamic and a huge soundstage with great depth. A must for all audiophiles looking for the best reproduction possible from audio PC. The Italian cable is very resolving. I have no doubt that it conveys more information than Curious and Acoustic Revive. The difference manifests itself with more detailed and better controlled presentation. The latter feature is most obvious in the low frequencies, because the Reference I accentuates a start and stop of each sound more accurately, and also more precisely presents an acoustic environment in the recording. With Curious the lower end seemed overblown, with decay that was not that well controlled. The Italian cable disciplined the bass and above all it improved coherence of the whole band. If we want to know more about what's going on in the recording, but without artificial highlighting of details, without treble being too bright, then Reference I will be a better choice. This cable offers a clear, yet saturated, well-balanced sound that clearly allows system to take its performance a step up. If that's what you expect from you cable, i.e. a "tube", which is able to passed as much information as possible from the source to the receiver, then the Italian cable will be an excellent choice. It will let you to hear more music. The Reference I is a highly detailed, full sounding and very musical sounding cable. It is quite smooth too, with a fluidity that is totally free from grain. Low frequencies have a nice bloom and wetness to it. Both the midrange and high frequencies of the Reference I are balanced, with a highly detailed and controlled sound. There is a sweet and effortless presentation that makes vocals very easy to listen to. Imaging is well-sorted out. Conclusion : it is really easy to like the Reference I - it's relaxed, sweet and very natural sounding. It has a wholesome sound that is highly detailed yet effortless. It's certainly not a cheap cable, but I consider the asking price to be well justified by it's performance - Recommended. 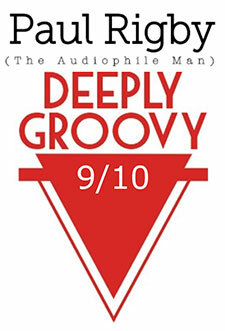 New Improved version (better separation between instruments, better dynamic and articulation of the low frequencies) of our USB PASSION cable awarded by on line magazines The Audiophile Man (UK) of Paul Rigby with a “Deeply Groovy – 9/10” award HD Phonic (Italy) with an Editor’s Choice award. Designed for all pc audio systems needing not only greater resolution but also a touch of warmth and musicality, that’s why it’s called USB PASSION I. The USB PASSION I has musicality combined with dynamic and detail, great reproduction of the soundstage plans and depth of image and a very lush midrange. Voices are very seductive, instruments are portrayed with great realism and timbre. Low frequencies are deep and well articulated. Highs are extended and smooth at the same time. The USB PASSION I has data conductors made of 7N copper solid core teflon insulated conductors. Conductors transporting power supply (5V and ground) to USB port are shielded and separated from conductors transporting data. The USB PASSION I then has a second great coverage shielding against EMI/RFI that could disturb the digital signal transmission. The cable is assembled with particular tecniques to eliminate vibrations and mechanic troubles that usually affect usb cables. Impedance 90 Ohm. Indispensable to audiophiles aiming for a more lifelike reproduction of PC audio. Neutral Cable Usb Passion I: It's time to get emotional. As the track began, I was aware of a stillness which was obviously the effects of noise removal via the cable design. This effect lead to a wonderful sense of musical authority via the cable, a certain confidence, a maturity in and around the music that exclaimed that everything was going to be fine. The upright bass, for example, was so solid and assured in how it handled itself. Lower frequencies were firm, stable full of potential power and focused. Conclusion: a value for money upgrade that will benefit any digital hi-fi chain. The Passion I grabs a firm hold of music and allows it to simultaneously relax while giving it so much confidence that the performance itself is lifted onto a whole new level of quality. Improving all sonic frequencies, the Usb Passion I cable is a "must have". State of the art digital cable real 75 ohm impedance made of high purity PC-OCC 7N silver conductor. The DIGITAL REFERENCE cable can be used where the best quality of digital signal transmission is request to connect transport to dac, interface usb-s/pidf to dac, video signal and every audio or video application demanding a real 75 ohm impedance. The DIGITAL REFERENCE cable, as our entry level Digital 75 OHM cable, differently from the majority of digital cables on the market it’s a digital cable with a perfect 75 OHM impedance because, not only the cable but also the connectors are true 75 OHM impedance. The DIGITAL REFERENCE cable is terminated with the valuable Canare 75 ohm RCA connectors or as an alternative with Canare BNC connectors, both made of beryllium copper external contacts and teflon insulation. Canare RCA connectors are the only RCA connectors in the market to respect the 75 ohm impedance. 1.Silver conductors have better performances at frequencies interested by digital signal and faster propagation delay compared to copper conductors. 2. The insulator employed to separate the central conductor from the return one is PE foam, material having a lower dielectric constant than the more diffused PVC. 4. The presence of a triple shield, made with a combination of one copper foil shield and two silver plated copper braided shield, guarantee a 100% coverage shielding that preserve digital signal from external sources of disturb like RFI and EMI in a more effective way than the use of a single shield. The Digital Reference cable, in addition to the usual application in connecting transport to dac, it’s well suited to computer audio because the presence of the triple shield avoid the digital signal gets disturbed from the connection with the computer that it’s a great source of RFI. It can be terminated on different combination of connectors thus permitting the best digital connection (avoiding the use of adapters causing jitter and signal losses) with digital transports, music servers, usb to s/pdif converters and dac. Available on request on the following connectors combination: RCA/RCA, RCA/BNC, BNC/BNC. The interconnect is directional. The direction of the signal is marked from the top of the Neutral Cable triangle logo (like an arrow showing the direction).